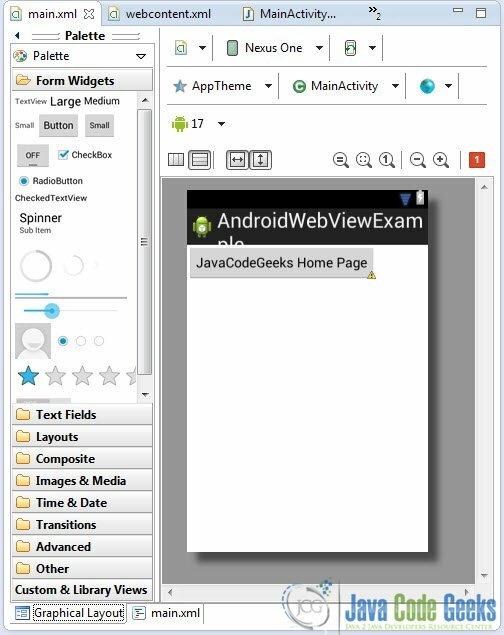 In Android, you can use the WebView component in order to present markup pages from URL or custom html markup page (short of like a browser, but in your own application…). 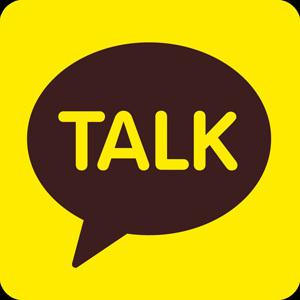 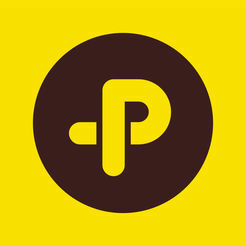 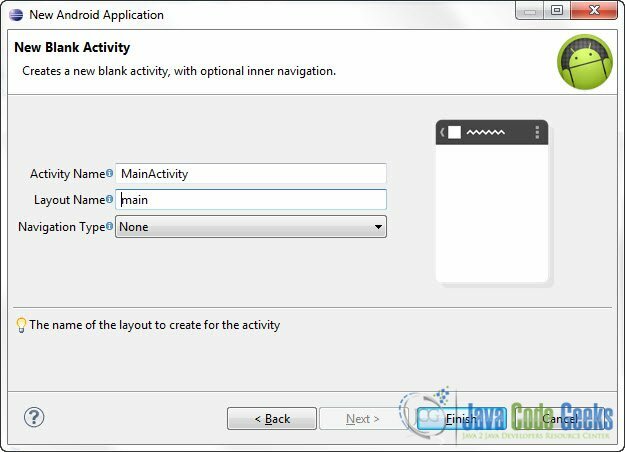 In this tutorial we are going to create an use two Activities. 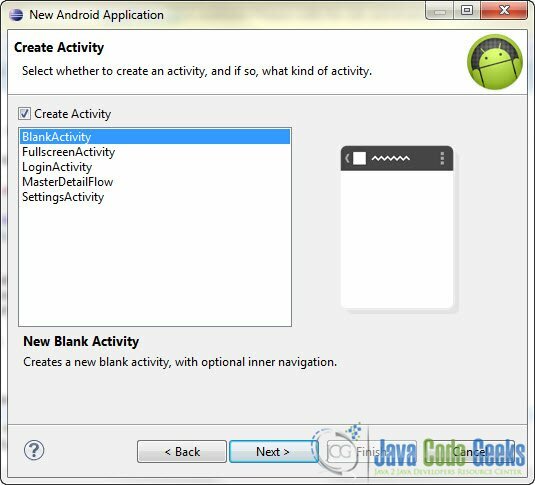 The main Activity will contain a button. 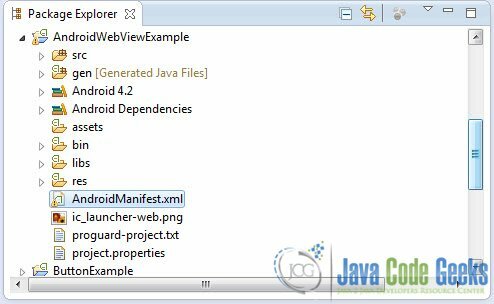 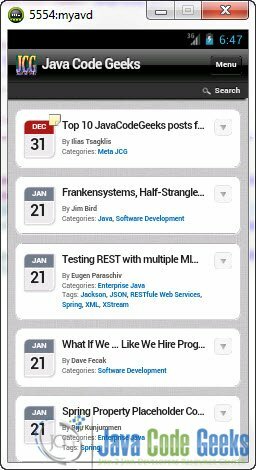 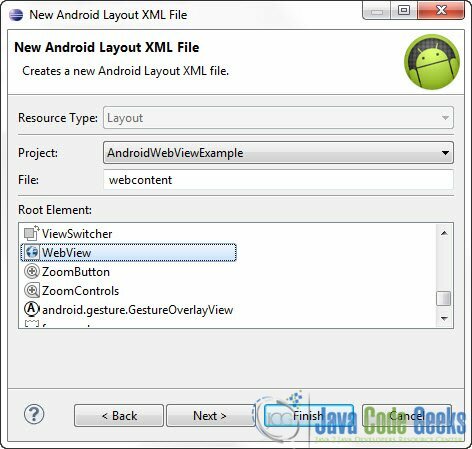 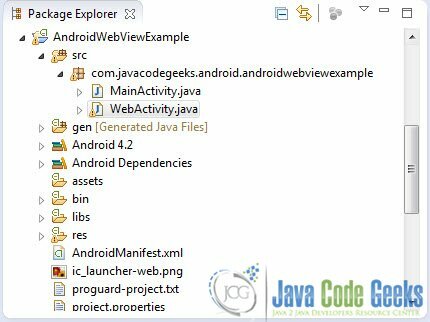 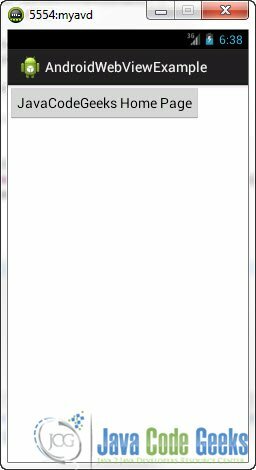 When the user presses that button, another activity launches which will contain a web view and will present the Home Page of JavaCodeGeeks. 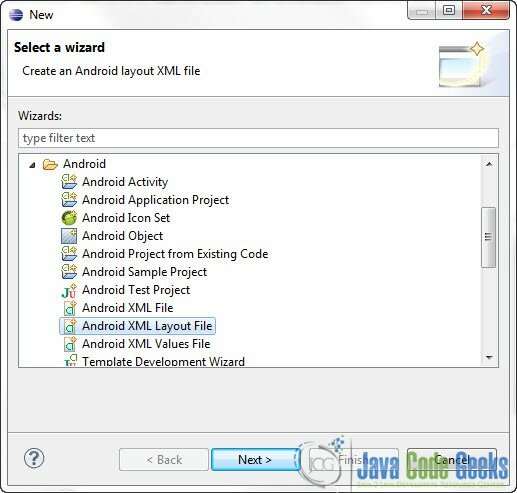 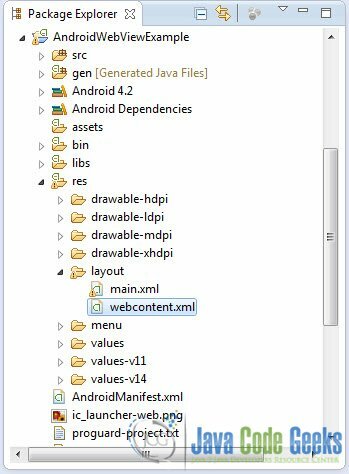 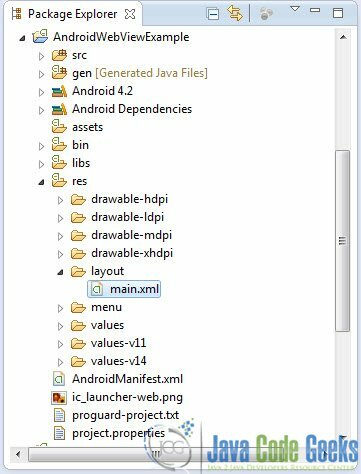 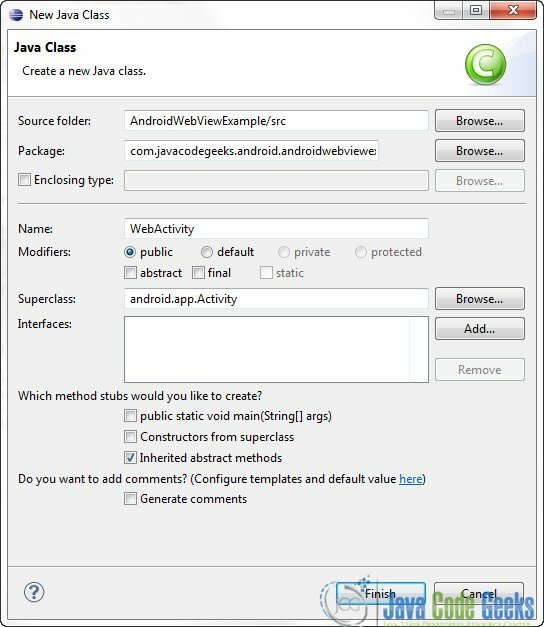 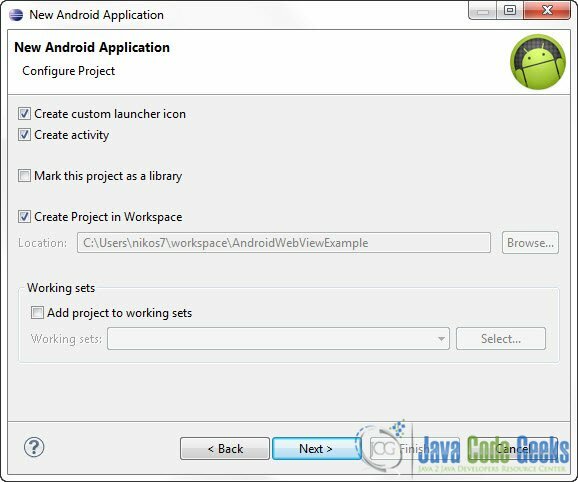 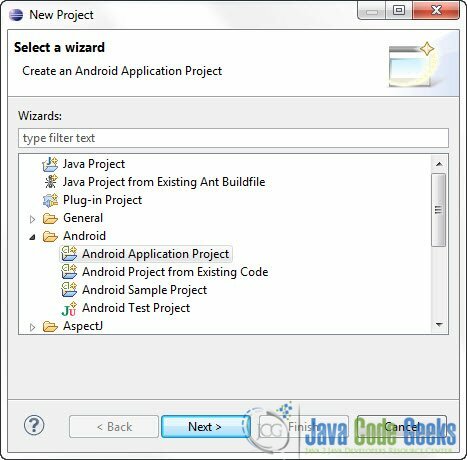 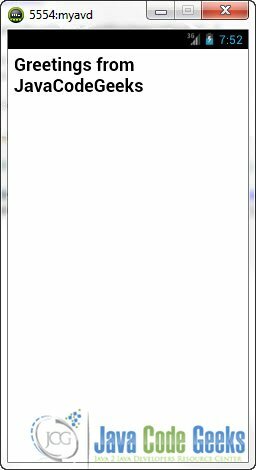 Open Eclipse IDE and go to File -> New -> Project -> Android -> Android Application Project and click Next. 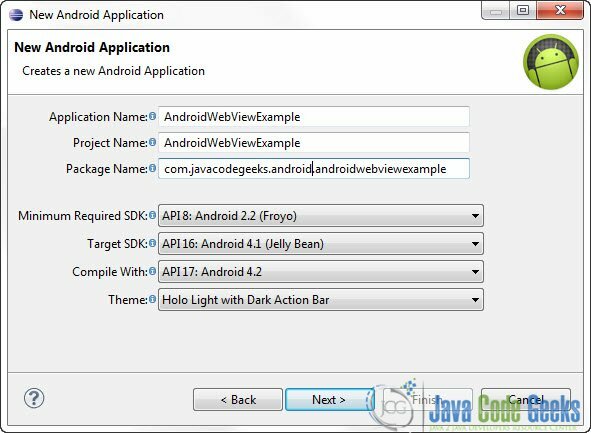 You have to specify the Application Name, the Project Name and the Package name in the appropriate text fields and then click Next.